Days before the 29th anniversary of the 1989 Tiananmen Square massacre, Chinese authorities again took measures to make dissidents disappear from the public eye. Bao Tong, former secretary of the deceased reformist Party leader Zhao Ziyang, said that he had been visited by officials from the local state security bureau in Beijing, in an interview with Radio Free Asia (RFA) on May 31. Zhao was politically purged after the massacre due to his sympathies with the students. He was placed under house arrest until his death in 2005. Bao said that officials told him not to accept any interviews on the eve of the June 4 anniversary; otherwise, he would be asked to go on a “trip” out of town. Chinese authorities frequently forcibly take dissidents on “trips” during sensitive periods, such as June 4 or major Communist Party political meetings, so that dissidents cannot use the occasions to voice grievances or criticisms of the Party. Bao also told RFA that officials warned him about people calling him—an indication that his phone was likely tapped. Last year, Bao was placed under house arrest before June 4. The year prior, he was taken on a “trip” to Kunming, a city in Yunnan in the far southwestern reaches of China. Any mention of the Tiananmen Square massacre—when the Chinese military was ordered to slaughter hundreds or, by some estimates, thousands, of Chinese student protesters calling for democratic reforms—is still taboo in China. The Chinese regime continues to deny having killed protesters, and it deploys its censorship apparatus to wipe out any mentions of the event. A secret British diplomatic cable released late last year revealed that the death toll was at least 10,000. Bao is not the only target the Chinese regime has tried to silence ahead of the June 4 anniversary. Zhang Xianling, a co-founder of Tiananmen Mothers, a group of family members of victims killed at Tiananmen, said local state security bureau officials showed up at her home in Beijing on May 28. “This year, [security officials] came later than usual. They came on the 28th. In previous years, they showed up on the 21st, 22nd, 24th, or 25th,” Zhang said to RFA, adding that a police officer in his police car was watching her from downstairs. Wherever she went, she would be followed by two other security agents, she said. Xu Yonghai, a Christian activist in Beijing, said he had been put under house arrest since May 28, in an interview with Chinese-language radio broadcaster Sound of Hope. 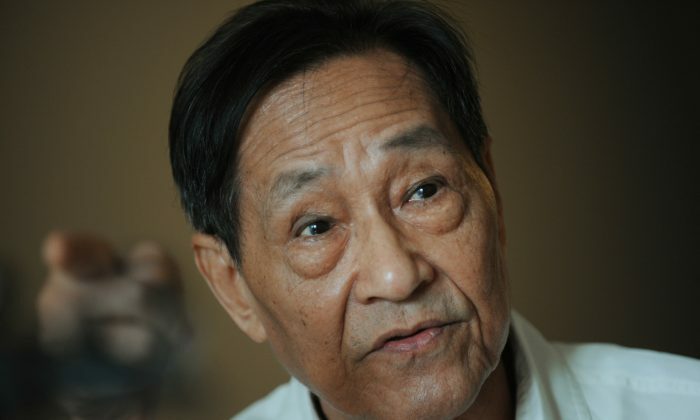 Xu recalled seeing the army tanks rolling into Tiananmen Square 29 years ago, and he said he tended to students who were wounded amid the regime’s crackdown. Xu explained that he was under watch by security agents, who were split between two shifts, with three agents on every shift. He added that, based on past experience, they would not leave until the 7th or 8th of June.